The military want new squads that will be capable of slipping through enemy defenses on light armored vehicles and strike from the rear and flanks. New motorized rifle squads will be able to carry out high-speed raids for hundreds of kilometers, and to perform lightning-like strikes behind enemy lines. The Russian Defense Ministry is to form special mobile squads based on motorized troops, the Izvestiya newspaper has reported. The military want new squads that will be capable of slipping through enemy defenses on light armored vehicles and strike from the rear and flanks. These will be formed of numerically small groups of saboteurs, which will appear in the Southern and Central military districts in the coming years. The new military units are also expected to feature special anti-tank and artillery battalions. "The creation of new mobile units is associated with the emergence of new types of war," Ivan Konovalov, head of the sector of military policy and economy of the Russian Institute for Strategic Studies, told RBTH. "These units will be used not only to carry out sabotage, but also to fight guerrillas or rebels and suppress insurgencies." According to him, light motorized infantry brigades are the preferred type of units for such operations. The flying squads will use the UAZ Patriot-based pickup SUV as the main means of transportation. The vehicle is already widely used by border guards and Interior Troops units. In addition to the classic function to transport personnel, the motorized infantry will use these vehicles as a platform for anti-tank and mortar weapons. "Such 'upgraded pickups' are widely used in local conflicts," said Konovalov. "They have already proved their worth during the civil wars in Syria and Libya, where ordinary civilian vehicles are converted into 'combat' ones with machine guns and mortars." 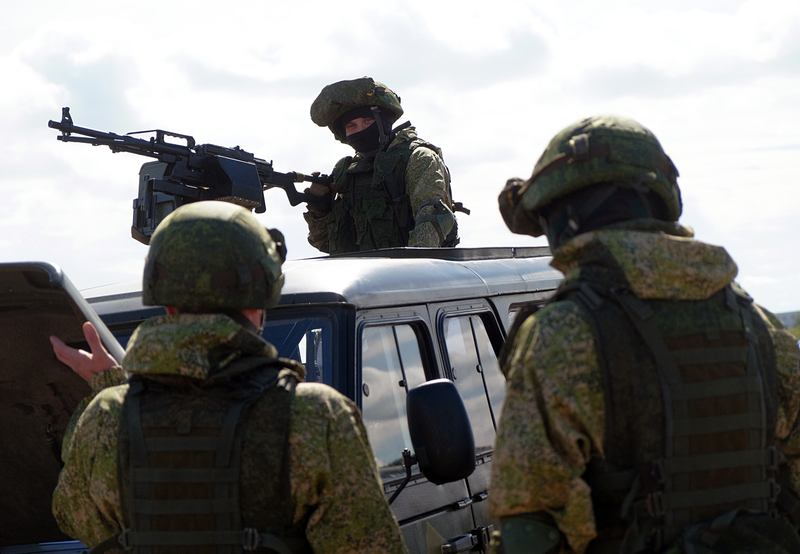 Earlier, the Russian Defense Ministry attempted to provide infantry with light armored vehicles. However, the UAZ Hunter, introduced in 2009, turned out to be too small to transport goods and troops. "With the arrival of new pickups, equipped with a spacious interior and a roomy body, in the army, this problem should be solved completely," said Konovalov. In addition to the armed forces, local designers are planning to bring mobility to Rosgvardiya (Russia's National Guard) special purpose units. As Daniel Martynov, assistant head of the Chechen Republic for cooperation with law enforcement agencies, told RBTH, a new buggy for Rosgvardiya special forces units is now being tested at the International Training Center for Special Forces in the town of Gudermes (1,150 miles south of Moscow). The vehicle will be mainly used for reconnaissance, evacuation of wounded and transportation of cargo in remote areas. In addition, the vehicle will be a serious help in anti-insurgent activities, in which the buggy will be used to move across rugged terrain and carry out rapid strikes on militant positions. "Modern technologies and experience allow the speed, mobility, permeability and flexibility of these vehicles to be increased," Eduard Mamyrin, CEO of the company F-Motorsport, the developer of the vehicle, said. "A strong space frame makes it easy to mount a Kord heavy machine gun or an automatic mounted grenade launcher without compromising the vehicle's resources and with high shooting accuracy." The vehicle is currently undergoing field trials in the mountainous areas of the North Caucasus. Mass production is scheduled to begin next year. Buggies are popular with special forces around the world. For example, they are used by U.S. Army Ranger units and British SAS forces.